Students involved in the Culinary Arts program earn certifications which enables them to pursue related careers after graduation. 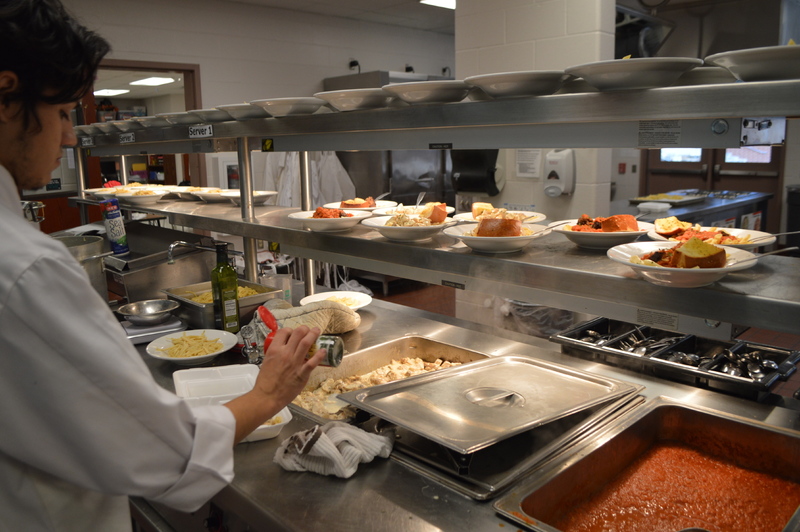 In addition, many students have found their passion in the FHS kitchens and continue on to culinary school. The photo submitted is of the FHS Tiger Tail Café. Each month, one of the Advanced Culinary Arts students plans a budget, menu, shopping list, and coordinates an entire meal to be prepared under his/her supervision. Classmates act as sous-chefs and line cooks. The lead chef is also responsible for décor and marketing of his Tiger Tail Café experience. Staff members can purchase the meal for lunch and eat in the café or have it delivered to their classrooms. The Culinary Arts program serves up career opportunities! 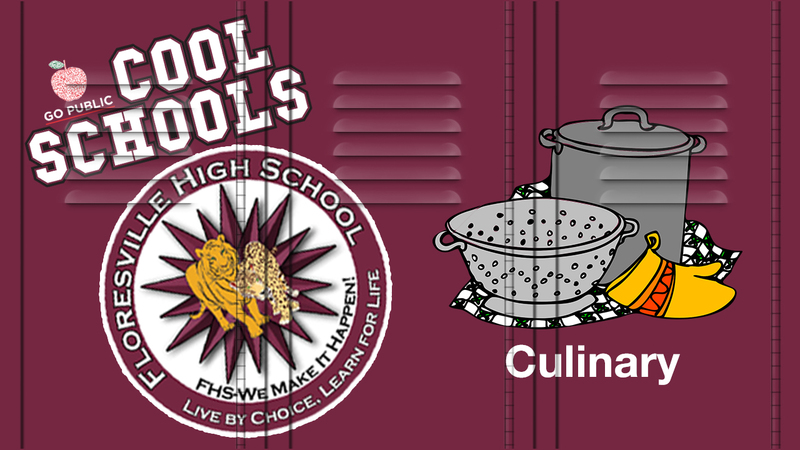 Scroll down to vote for the Floresville High School Culinary Arts program. Do you love your school? Follow Go Public on Facebook and Twitter and share all the great things happening in your school with the hashtag #GoPublic. Voting has ended. Watch SA Live to see which project is this month's Cool School.